Thank you for a great 2018 Farm Tour! Our new Farm Tour Video featuring The Dirt Rich School at Compass Rose Farms! 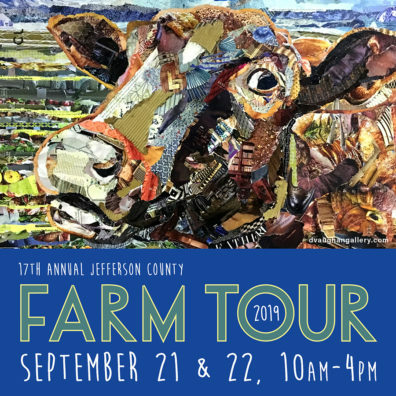 Check them out: a stop on 2018 Jefferson County Farm Tour September 15th & 16th. Committed to providing safe harbor and rehabilitation for unwanted, injured or abandoned domesticated and wild animals on 32-acres of pastures, ponds, barns and shelters for large animals. They offer permanent sanctuary to the domestic animals that have not been adopted and the rehabilitation and release of wild animals. Tours of the facility include stories about the animals’ journey’s as well as the importance of respecting wildlife. Selection of pet related products for sale as well as shirts, sweatshirts, and some local wearable art. Whether it’s housing overflow from the county and other shelters, or actively rescuing neglected animals in desperate need of intervention, CVAR gives animals a second chance. Chimacum High School Horticulture has a greenhouse and garden space where they grow some of the food used in their culinary classes. They also have a rain catchment system, worm composting bin and 3 bee hives on campus. They are the first high school bee campus USA in the nation. Compass Rose is a 40-acre bio-diverse farm that raises Icelandic sheep, chickens, ducks, geese, and turkeys and various native and cultivated ecosystems. 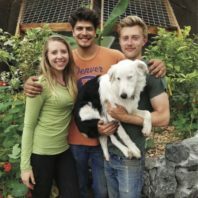 Their farm hosts The Dirt Rich School which promotes community and teaches permaculture, sustainable food production, animal wifery, fiber production and processing, food preservation and modern homesteading skills. Come see the free-range farm and pet the sheep! 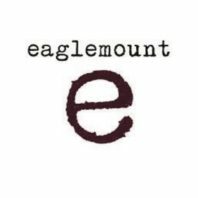 Arcadia is a 12-acre estate operated by Eaglemount Winery. The tasting room is located in the historic Palindrome Event Center. There are several heirloom apple trees, walnut trees, and fig trees planted many years ago. 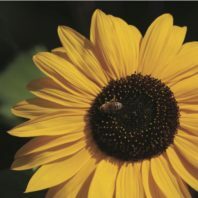 They are planting cider apple trees, grapes, lavender, and sunflowers with the eventual goal of having a production facility on the Arcadia property. Apple production, cider production, slide show, demonstrations in the Palindrome. Hard ciders, wines, local cheeses and more. The Finnriver Orchard & Cider Garden is located on a 50 acre organic farm, just south of the Chimacum crossroads. 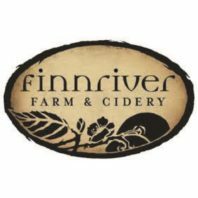 Once a historic dairy farm, Finnriver now offers cider tastings and a community gathering place, with an organic orchard of 6,000 traditional cider apple and pear trees, and organic grains and vegetables. 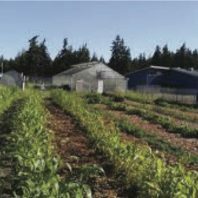 They also partner with several organizations on the land who conduct research, education and restoration activities, including Organic Seed Alliance, North Olympic Salmon Coalition and Jefferson Land Trust. Jan Gillanders’ passion for spinning, knitting & weaving has given her a great appreciation for the process of creating something from the “ground up”. 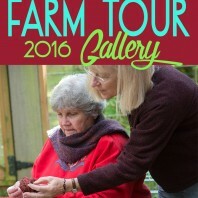 You can take the journey from “sheep to shawl” during Farm Tour. Over the years she has expanded her business to offer quality, prize winning raw fleeces, processed fiber for hand spinners, hand spun yarn and many hand-knit items. She also custom spins wool for those who want yarn for that special project. Jacobs’ Fleece Farm includes a small “Spinners Flock” of Jacob Sheep. New permaculture-inspired market farm in the beautiful Beaver Valley of Chimacum. 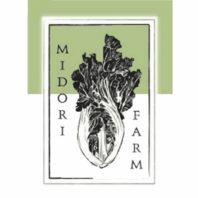 Focused on regenerative practices and soil health, Kodama grows a multitude of vegetables, fruits, and herbs specializing in citrus, mushrooms, heirloom vegetables, and unique fruit. Other projects in the works include developing a 5 acre food forest and construction of a commercial kitchen for a future CSA. Come say “hi” to our three adorable Nigerian dwarf goats, take a tour of the farm and the tropical geodesic dome, and learn about our sustainable gardening practices. 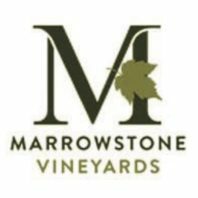 Marrowstone Vineyards is a boutique winery, making small batch, handcrafted delicious wines. For some of the wine production they use grapes harvested from their own two and a half acre vineyard. Including six different varieties Siegerrebe, Madeline Angevine, Melon De Bourgogne, Pinot Noir, Pinot Gris, and Agria. They harvest small quantities from our vineyard, yet the flavors and minerality are enormous, due to the conditions and location they grow them in. Self-guided walking tour on a 30-acre organic farm with highly diversified vegetables. 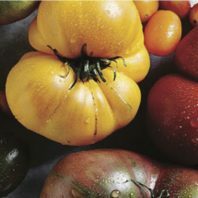 High quality vegetables, small fruits, garden seedlings, vegetable seed crops. Farm-grown vegetables plus traditionally fermented sauerkraut and kimchi for sale in the on-site farm stand. Seed is part of our common cultural heritage – a living, natural resource that demands careful management to meet food needs now and into the future. 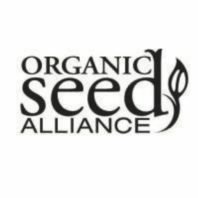 Organic Seed Alliance (OSA) is a 501(c)(3) nonprofit that advances ethical seed solutions to meet food and farming needs in a changing world. The OSA research farm is a 2-acre piece of the Finnriver Orchard including three greenhouses and a field full of seed crops, vegetable crop trials, flowers for pollinators, and cover crops. 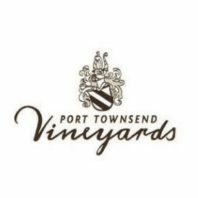 Port Townsend Vineyards was launched through the planting of a 100% organic vineyard in 2015. This vineyard was carefully planned to highlight the unique grape varieties that thrive in this geography and coastal climate. We use exclusively hand-harvesting techniques and care for the vines with no use of pesticides, fungicides, or herbicides. A walk through the vineyard will immerse guests into a world of winemaking that begins with lesser-known and beautiful varieties including Iskorka and Garanoir, as well as Chardonnay and Pinot Noir and many more. RainCoast Farms, Vineyard & Wedding Venue Site is a unique gathering place surrounded by majestic old growth cedar trees. They strive to be self-sustaining and environmentally conscious. Their pesticide-free farm offers apples, berries, tomatoes, peppers, flowers, and honey. The chickens, affectionately call “The Girls”, produce delicious eggs. On Farm Tour you can expect educational demos about how to correctly pick apples, plus a Your Face Here photo board! Berries, apples, flowers for sale. 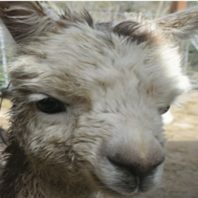 Rosebud Ranch and Fiber Studio is a small farm (2.5 acres) in Port Townsend that includes a heard of 1 llama, 8 alpacas and 1 fiber artist. The herd is shorn yearly and the fiber is professionally processed off the farm, then by hand by the on site fiber artist. I raise llamas and alpacas for fiber. I am a spinner, weaver and knitter. 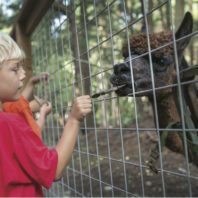 We have had llamas on the land since 1989, alpacas since 2006. Visitors during the Fiber/Farm Tour can participate in spinning and weaving. A handful of small looms will be available for kids to try, and the animals will be all around to visit with. Other Fiber artists will have booths to display and sell their hand-crafted fiber products. 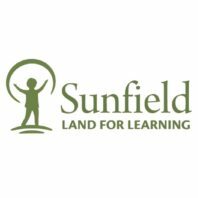 Sunfield Land for Learning is a Biodynamic Farm, Waldorf School, and Community Education Program located on an 81-acre farm, and inspired by the work and vision of Rudolf Steiner. Sunfield is comprised of 42 acres of fields and pasture, 8 acres of wetlands, 26 of forest, and 5 acres for the school. All the Farmland is protected forever, and is Biodynamic and Organic Certified. The students (pre-k through 8th grade) work daily on the farm with sheep, goats, hens, rabbits, vegetables, fruit trees, and berries. Sunfield sells produce through their onsite Farm Stand and to local stores and restaurants. Open May through October Wed-Sun 10am-5pm. 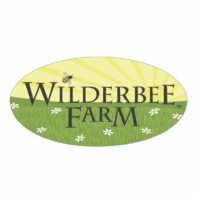 Wilderbee is a family-run farm offering organic u-pick lavender, cut flowers, blueberries and pumpkins. We also raise hens for eggs, honeybees, and a rare, primitive breed of sheep called British Soay for their soft wool. We are committed to researching, practicing and sharing innovative, organic methods for small acreage farming, providing healthy habitat and forage for natural pollinators and harmoniously integrating farm life with wildlife. Visit our farm store for lavender products, essential oils, unique woodcrafts and gifts all crafted on the farm. Bring a picnic. Feed the sheep. Pick a bouquet. Stroll our fields and nature trails. Enjoy the day at Wilderbee. Yaks in the Cradle Farm is a 20-acre farm co-owned and operated by Steven and Patricia Young in Quilcene, WA. The farm raises high quality registered Tibetan Yak for breeding stock, meat, fiber, packing and pet. 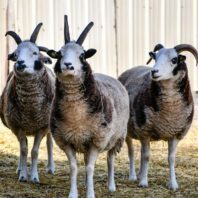 Currently, they sell a limited number of registerable animals for breeding programs and show offering 4-H/FFA discounts, as well as yak fiber and artisan made yak goods. 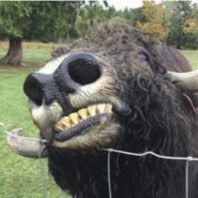 In the fall of 2018, grass-fed yak meat will be available for purchase. The farm raises Pygora goats for breeding and fiber production as well. Members of the International Yak Association and the Pygora Breeders Association. Learn about yak, yak fiber, yak 4-H, Pygora goats, Pygora goat fiber, spinners, knitters and other demos taking place. Yak fiber, yak hand made goods, pygora fiber, pygora handmade goods for sale. Farm Tour is Open to the public with a $10 Suggested Donation per carload. No one turned away! You can make this donation on any farm.